A wedding in Yemen became a scene of carnage when a reveller dancing to Gangnam Style shot dead at least three people after apparently losing control of his AK-47. 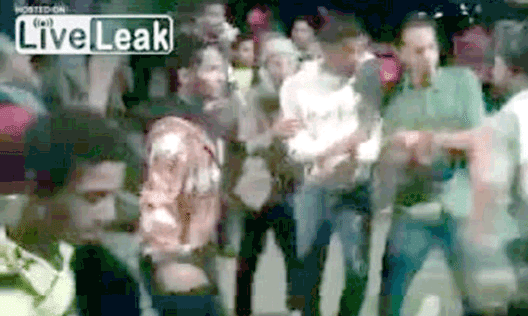 Horrific footage of the incident has emerged showing a group of guests performing the moves to the hit song by South Korean EDM star Psy. Among them is one man waving his assault rifle as he gyrates on the dancefloor while others look on. Watch this terrible incident below! Weapons are so dangerous . . .
Get Electro WOW News On Your Mobile Phone!